Employer sponsored childcare is a dream working parents wish for but rarely find offered to them in the workplace. Why are companies not offering this prized carrot to their employees? 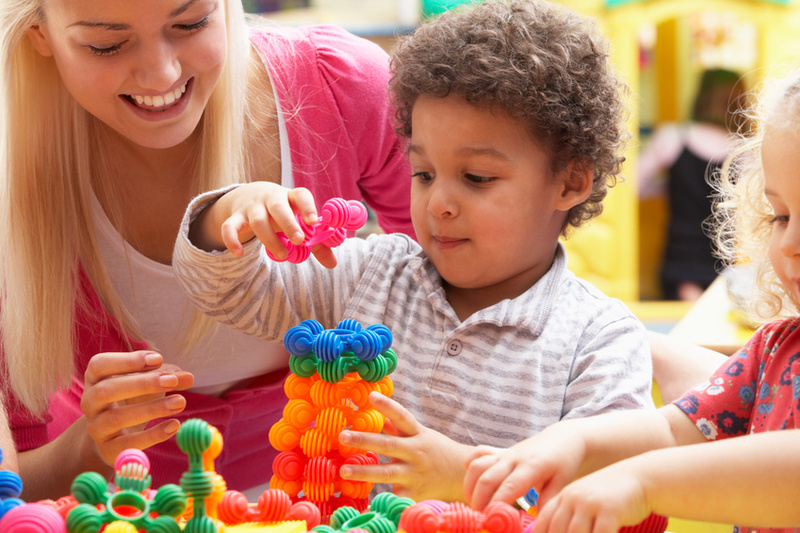 On-site childcare facilities that are subsidized by the company are offered exclusively to workers, and for the businesses that chose to do this an increase in retention is observed. Still un-sold? Read below for a few more reasons why employer sponsored childcare may be the next big thing in the workplace. Are Your Employee’s Jumping Ship Unexpectedly? The time, money, and effort that goes into hiring and training new employees is considerable. When those employees turn around and quit less than three or four years later, it can be frustrating. But is corporate childcare really the answer? It could be, for quite a large group of employees: parents. Childcare options for working parents are not always straight-forward. Some government statistics indicate that about 23% of parents rely on “multiple arrangements” to suit their work schedules. This is not surprising, considering the long hours many employees put in at work. Many childcare places have a strict “Closed at Six” policy. When the boss expects you to be at work late, it becomes absolutely necessary to have a back-up plan. But even with a fail-safe in place, many parents dislike the stress of relying on multiple arrangements. They may seek out other employers who are more cognizant of the unique needs of families, or jump at an offer of employer sponsored childcare. Do We Really Need Childcare in the Workplace? It would certainly make things easier for many parents across the nation. About 90% of the costs of childcare are taken on by parents. For parents with two or more children, paying for childcare will cost more than the median price of rental payments, according to the Childcare Aware of America. This is the reason for many families taking a hard look at their finances and deciding to keep one parent at home to care for the children. Employers are losing great workers because it is simply too difficult to make it work otherwise. When forced to choose between having a family and having a job, people are overwhelmingly choosing to tighten their belts and rely on one income if necessary. But does it need to come to that? What Are the Numbers on Retention? Employer sponsored childcare can help save parents money, but what about the company? Aren’t they footing the bill, and can that cause the company to lose money? While it is true by subsidizing onsite childcare the company will be spending money, they are not necessarily paying the full amount. The parent is simply getting a good deal on childcare. You may not know this, but when parents are looking for childcare they are advised to chose a place either close to home or close to their work. Some parents prefer a facility closer to work so that they can reach their child or children quickly during the day if necessary due to an accident or illness. So that is another point for onsite childcare. But how does that benefit the company? It benefits the company by increasing productivity and retention. It is indicated that when an employee who is a parent does not need to worry about childcare, they are able to better focus at work, are more likely to remain loyal to the company, and decreases maternity and paternity leave. Those are all variables that can have a big effect on company culture and moral, which translates to happy employees work harder.